In November 2018, the Competitions and Market Authority (CMA) issued guidance to UK Care Home Providers for older people, setting out consumer law obligations to protect residents, prospective residents and their representatives when using care services. The law requires that Care Home Providers understand the difficult circumstances in which people may be making decisions about care and the fact that they are unlikely to be familiar with the process of choosing a care home. It is therefore the responsibility of Care Home Providers to ensure appropriate information is available and provided at different stages of the customer journey to help people make informed choices. Upfront information – what information Care Home Providers should provide to prospective residents and their representatives, and when it should be provided. Treating residents fairly – what Care Home Providers should do to ensure that contract terms and the way residents are treated is fair under consumer law. Quality of service – how Care Home Providers comply with their obligations to perform services to residents with reasonable care and skill. Complaints handling – what Care Home Providers should do to ensure that complaints handling procedures are easy to find, use and are fair. The advice applies to all care homes for people over 65 (e.g. residential and nursing), irrespective of how care is funded, and covers the whole of the UK (i.e. England, Wales, Scotland and Northern Ireland). homes and provides a focus on how Care Home Providers communicate with prospective residents and their representatives. Upfront information is the information that Care Home Providers must provide to prospective residents and their representatives to help them make informed choices about whether or not to ‘buy’. The CMA advises that ‘upfront’ information must be made known at first contact as part of the initial enquiry process, regardless of how care will be funded. 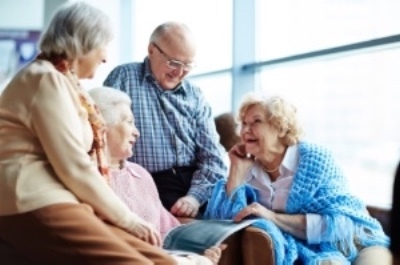 The information should help people to make an informed choice about whether or not to shortlist the care home, make further enquiries or visit the care home. 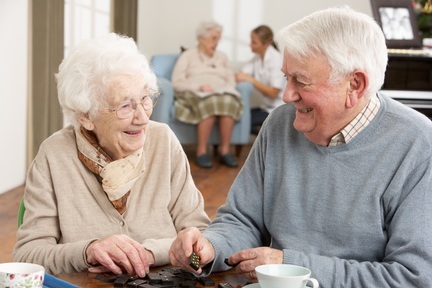 Key features of the service, type of care needs catered for and important terms and conditions (for example, funding arrangements), must be communicated clearly to prospective residents on first contact and accessible on websites, telephone and email enquiries, written materials and during home visits. The Upfront information section of the guidance sets out detailed advice on what information should be made available and when, to make sure communication is structured, clear and timely throughout the customer journey. There is a great focus on a whole organisation approach to make sure that systems and processes are in place to manage the communication process involved during a person’s enquiry and that these are effectively managed and coordinated. The guidance also goes as far as stipulating the information to be made available on websites, emphasizing the importance of the ‘one click’ rule on the availability of key information. We welcome the detail of the advice and are delighted that it offers clear guidelines that will further improve the quality of communication provided by Care Home Providers to support prospective residents and their families as they look for care. Our experience working with care businesses over the years means that we are well placed to help companies looking to implement the detail of the guidelines in their organisation. Get in touch to find out how. Click here to read the full CMA guidance for Providers.